Handmade Wedding Cards. Free Card Ideas, Tips and Tutorials! Handmade wedding cards are perfect gifts for couples who will soon be making that important decision to spend the rest of their lives together. Sooo romantic, right? :) We've asked DT Member Dottie to teach you how to make a simple yet elegant homemade wedding card today so you can make your friend's big day even more special! Enjoy! 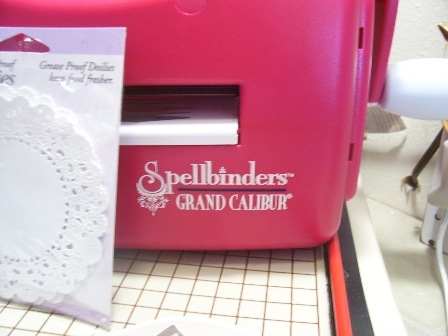 Hi My name is Dottie and today I am going to show you one of my homemade wedding cards and teach you how to make one yourself! Rubber stamp " FOR THE BRIDE & GROOM"
Prepare your materials and gather your supplies for your wedding card. Remember, you can always use whatever you have on hand. You don’t need to use the exact supplies that I did. 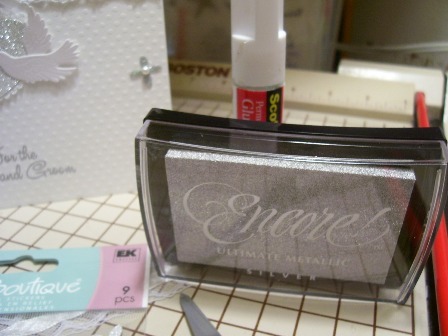 Take your white card stock and cut it to size 6 x 4 ½ inches. Run it through your Spellbinders machine (if you have one) for some embossed effects. If you don’t have Spellbinders, that’s fine. You can just use the cardstock as is. This will form you card base. Score and fold your card stock at the middle. 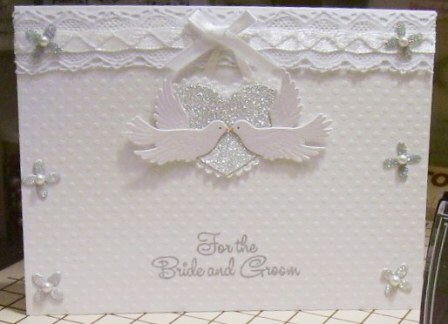 Take out your white ribbon or lace and run it along the top of your card. Glue stick will do the job of holding it in place perfectly. Alternatively, you can also you quick dry glue. 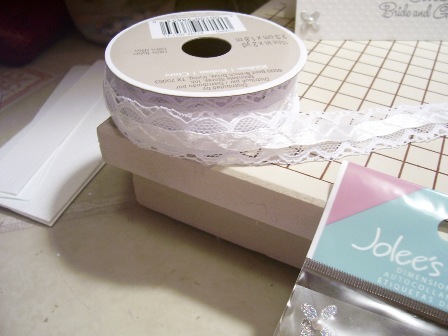 Double-sided tape will just not work since our ribbon is made of fabric material. Add a bow to the middle. Add your embellishments. I found a pair of love birds from my stash and though that it would look perfect on a wedding card! 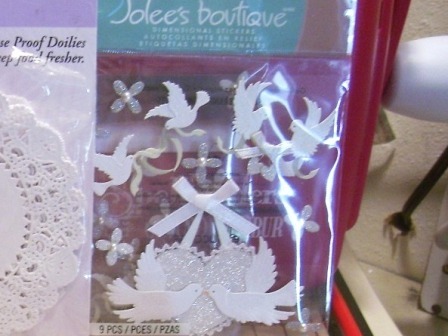 I also added silver flowers with pearls along the right and left edges of my card to give it more elegance. Lastly, using whatever wedding-themed stamp you have and some silver ink, stamp a sentiment at the bottom of your card as a finishing touch. Well that’s it! This was a very easy card to create and you can even finish this in just 15 minutes or so. Here's one of my pretty handmade wedding cards again!